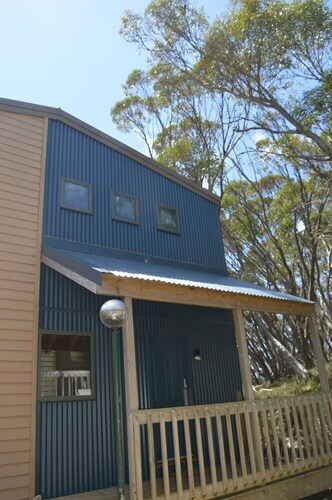 Situated in Mount Buller, this chalet is 0.4 mi (0.6 km) from Village Center and 2 mi (3.2 km) from Mount Buller Peak. Mt. Buller Ski Slopes is 1.1 mi (1.8 km) away. When we say “chalet,” you might imagine returning to your ski chalet after a day on the mountain. You think of a picture-perfect A-frame with charming touches like fireplaces and handmade quilts. And you may also picture total seclusion—the ultimate private getaway, with just the right mix of amenities inside and activities outside. When it comes to that last one, we can confirm that Mount Buller chalet hotels have you covered. You can think of a chalet like a fancy cabin: it’s got that rustic look that takes you back to days spent on the lake or in the mountains, but it ups the ante with little bits of luxury, like super-plush bedding and modern design. That bedding will come in handy, because you’ll need a good night’s rest for all the adventure that awaits in Mount Buller. Wake up to the sun streaming in your picture windows, warming you under your cosy comforter as you decide what to do with your day. Many Mount Buller chalets will offer full kitchens, so you might want to start with a hot brekkie and a look at the local paper. Then get out and explore! With loads of things to do, friendly locals, and tasty bites, you’ll never have an ordinary moment on this holiday—unless you want to, of course. Mount Buller is a master of relaxation, too. Ready for adventure? You need to jump on these deals faster than a speed skier going for the world record (it’s 254km/h, by the way). 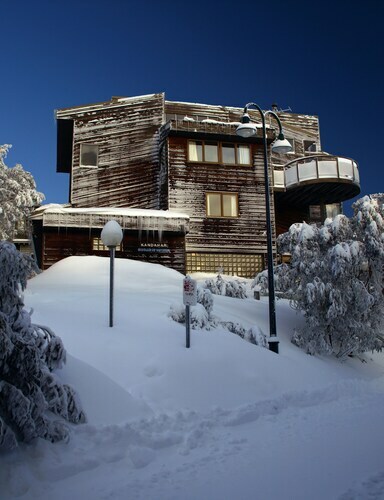 Wotif has great prices on Mount Buller chalet accommodation, and an amazing selection, too. Book today, before they slide out of sight. 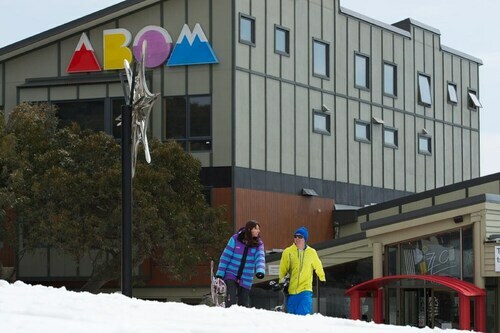 Nestled on the slopes, this ski-in/ski-out hotel in Mount Buller is within 2 mi (3 km) of Village Center and Mount Buller Peak and close to winter sports such as skiing lessons. Mt. Buller Ski Slopes is 0.5 mi (0.8 km) away. 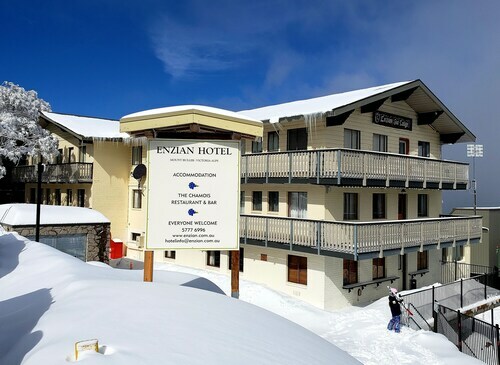 Located in the mountains, this slopeside hotel offers ski-in/ski-out access in Mount Buller within 2 mi (3 km) of Village Center and Mount Buller Peak and close to winter sports such as cross-country skiing and skiing lessons. Mt. Buller Ski Slopes is 0.9 mi (1.4 km) away. 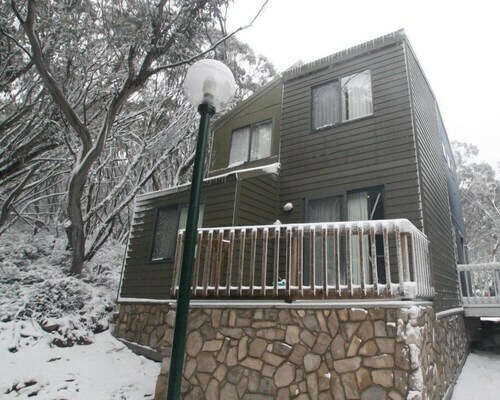 Nestled on the slopes, this ski-in/ski-out lodge in Mount Buller is within 2 mi (3 km) of Mt. Buller Ski Slopes, Mount Buller Peak, and Village Center. Mount Stirling is 9.9 mi (15.9 km) away. 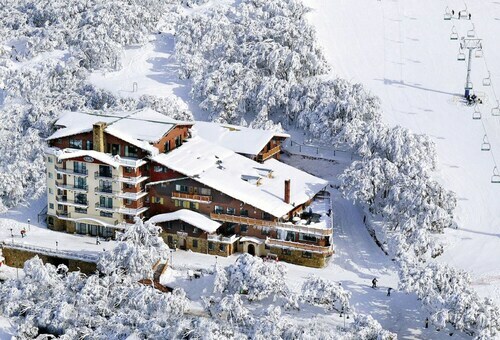 Located in the mountains, this slopeside Mount Buller hotel offers ski-in/ski-out access within 2 mi (3 km) of Village Center, Mount Buller Peak, and Mt. Buller Ski Slopes. Mount Stirling is 9.9 mi (15.9 km) away.